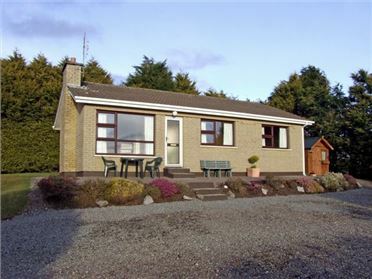 Bramble Cottage is a lovely end-terrace cottage situated close to the village of Crossmolina just seven miles from Ballina and 15 miles from Foxford in County Mayo. The cottage can sleep five people in one ground floor double bedroom, one double and one single as well as having a ground floor wet room. Also in the cottage is a kitchen with dining area and sitting area with solid fuel stove. 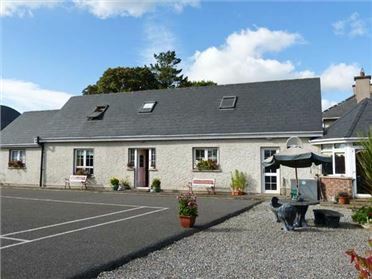 Outside is ample off road parking and a lawned garden with furniture. 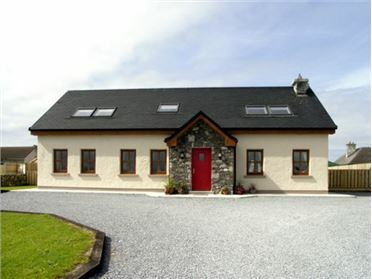 Bramble Cottage is a delightful cottage and an excellent base to explore County Mayo. 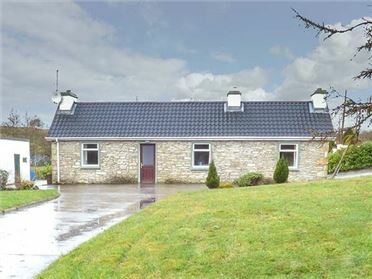 Three bedrooms: 1 x double, 1 x ground floor double, 1 x single. Ground floor wet room with shower, basin and WC. Open plan living area with kitchen with dining area (seats 4) and sitting area (seats 5) with solid fuel stove. Gas central heating with solid fuel stove. Electric oven and hob, microwave, fridge, washing machine, dishwasher, TV with Saorview, DVD, selection of books, games and DVDs. Fuel, power and starter pack for stove inc. in rent. Bed linen and towels inc. in rent. Ample off road parking. Enclosed lawned garden with furniture. Sorry, no pets and no smoking. Shop and pub 2 miles.